OMG! This card is bee-utiful!!! Love it!! What a lovely card. 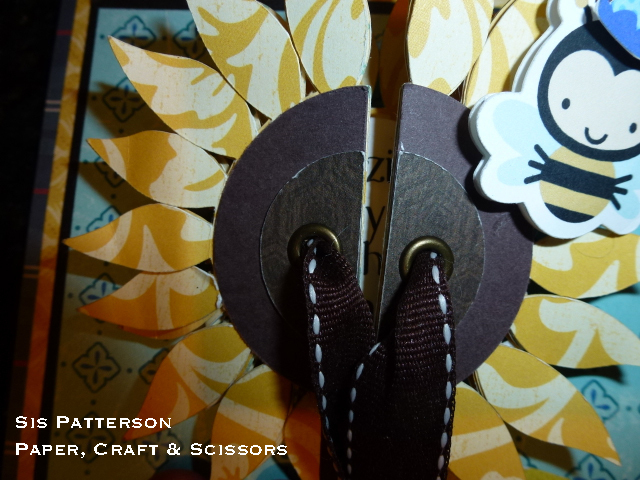 The card is great you put so much detail into it I really like the way you did the ribbon as well. Your card is one of the most beautiful cards that I have ever seen. Gorgeous! And unique, too. TFS! Very cool Sis! Looks like lots of work and I’m sure your recipient will adore it! 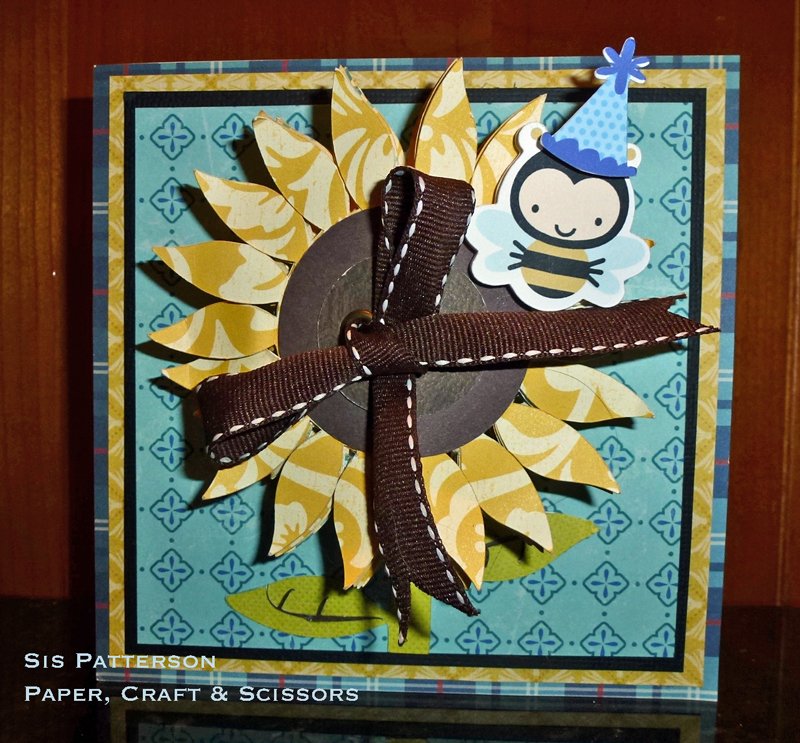 Love all the papers you used and sunflowers are one of my favs! Thank you for the lovely comment. Actually, once I figured out what I wanted to do (e.g. how to make it work), it was pretty quick to put together. Love the split. Sunflowers are so spring. LOVE it!!! The bees are super cute & I really like the sentiments! Oh I love the set up and layout of this card. So inspiring! Thank you for sharing. 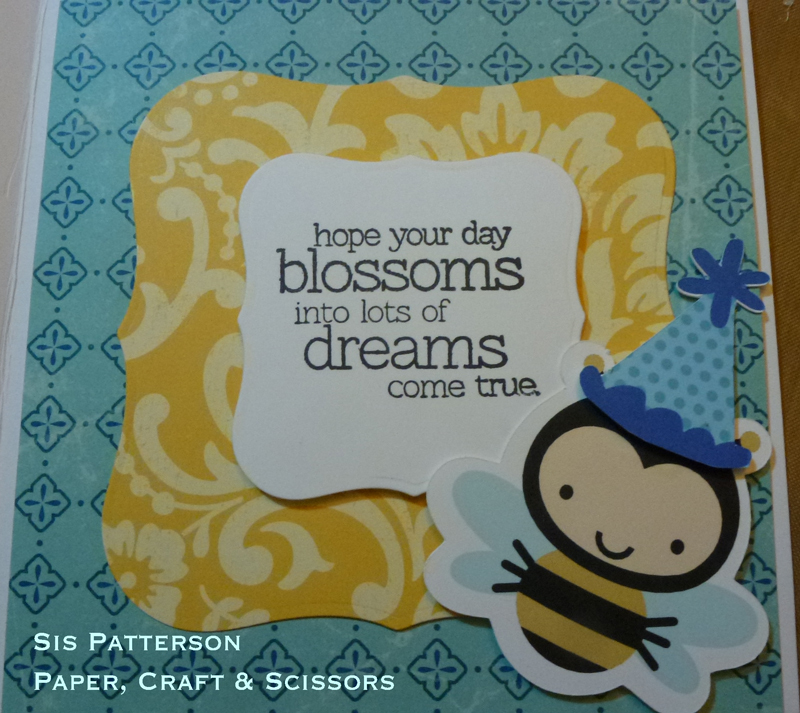 What a bee-utiful card! The flower is just fabulous and I love the way you put it all together. Now if you really could add a bit of Spring outside. I would be most happy. 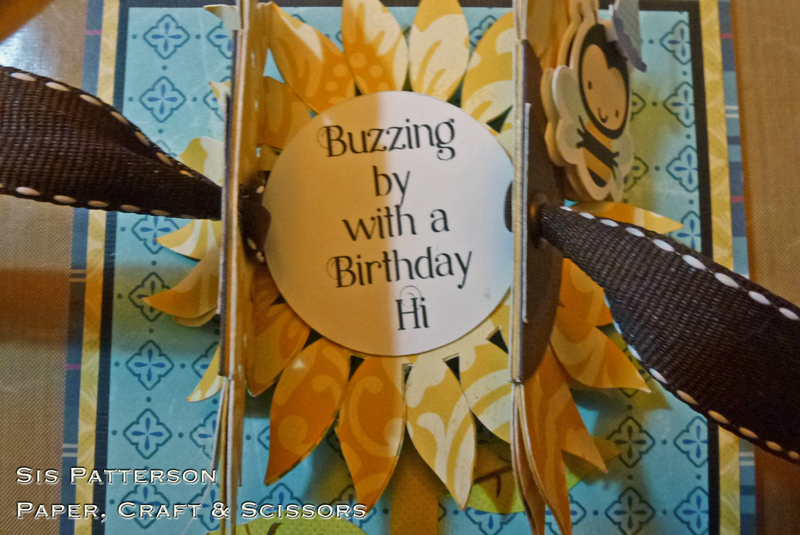 Love how the sunflower blooms (opens) into a birthday greeting! A beautiful card! 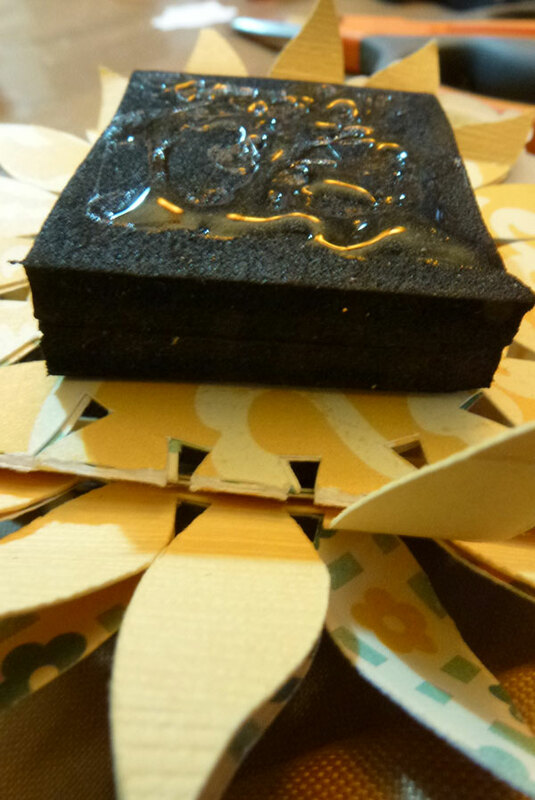 Makes you think of the spring and the flowers that come with the new season. The person who gets this card is very lucky. I love your designs. Bee-u-tee-ful! And I love the multiple messages! Sis, this is amazing! 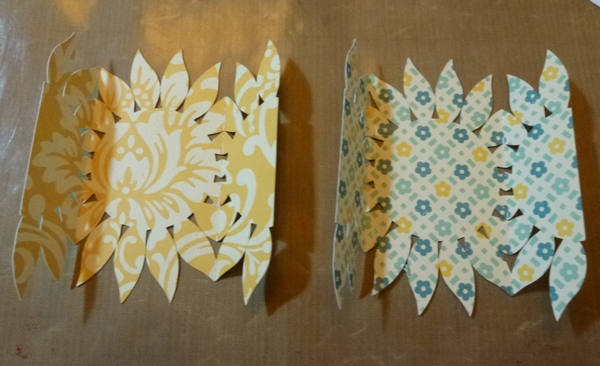 I need to pend a little time with the silhouette and learn how to use it. How did I miss this??? How clever!! 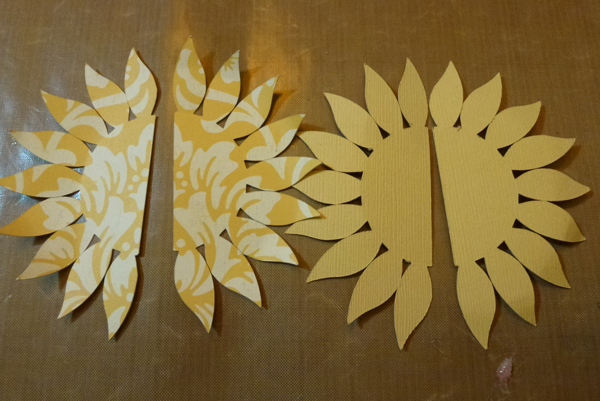 I love the closure on the sunflower and the perfect patterns. Adorable bee and perfect sentiment. I know it was loved by the recipient!! Hope you had a great weekend at Mania!!! Can you do another that I can purchase? I am sorry, but I can’t make another now.